Custom website design and development is one of Media Elements LLC primary services and we do it well. 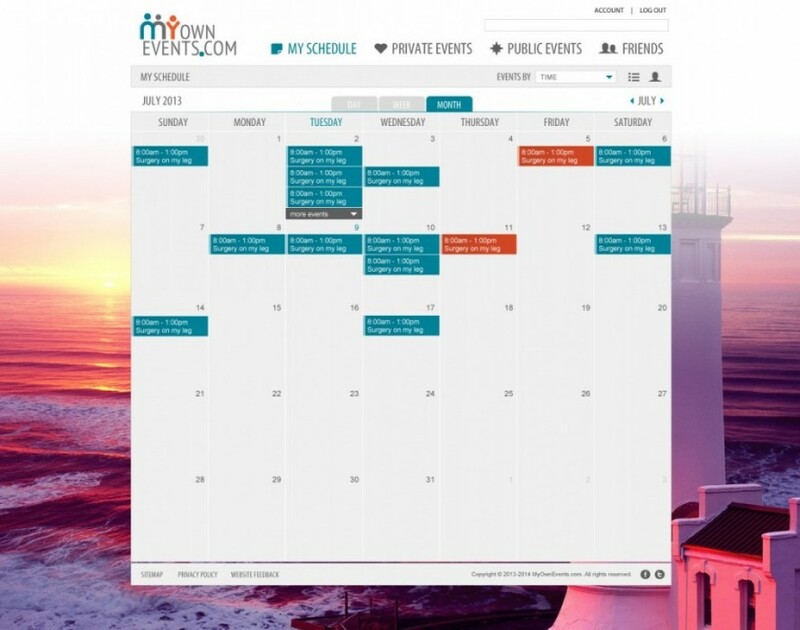 MyOwnEvents.com is the only event marketing site in the world for private and public events that provides FREE marketing for individuals and small organizations! It is the better way to organize and promote your own events. You can pay a monthly premium services fee ($20 a month) that covers expanded marketing of events and other services. You’ll never need to keep looking for events that you’d be interested in because we have done this work for you! The site is an interactive marketing event calendar and social networking website that uses “Predictive Intelligence” to help users organize and plan events that they are interested in. It then aggregates the information on events that you have signed up for onto your personal calendar. Our mission is to help our users find easier ways to get the right event information based on their interests.